Sailing in the Mediterranean is always as super exciting as it is rewarding. 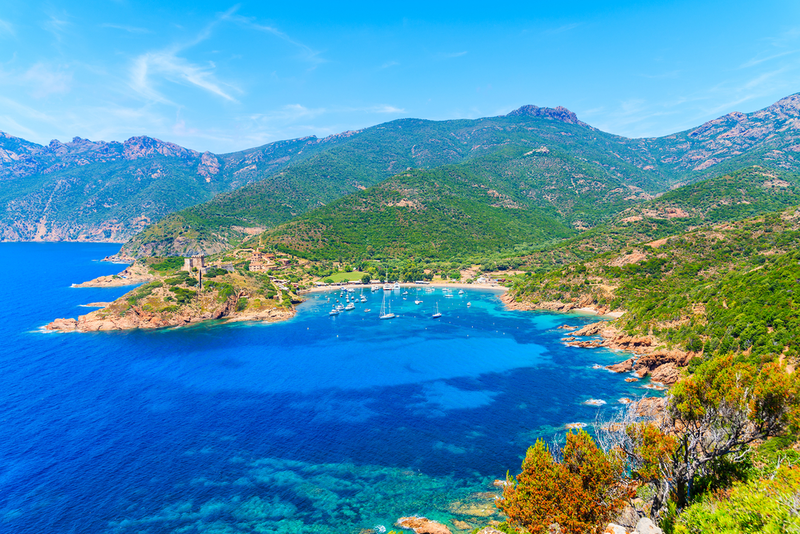 Sail in the Mediterranean sea and get to see the finest coasts in the world. The wonderful colors that match the deep Mediterranean blue will steal your heart. We present you the best places to sail in the Mediterranean with links and inside information of ports and marinas. Enjoy the most exclusive and beautiful places on earth with your sail wide open and the wind in your face. Which are the Best Sailing Destinations in the Mediterranean? The Italian islands are very close to continental Italy but also wonder on their own. 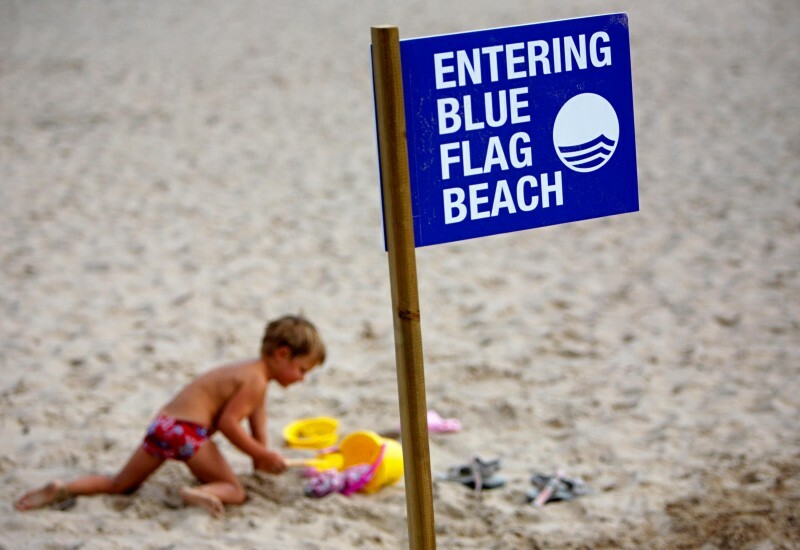 They have the most beautiful sights but also many attractions to accommodate visiting sailors. This Italian island is the second-largest one in the Mediterranean Sea. This is one of the best sailing destinations in the Mediterranean Sea. The meaning of Poltu Quatu is a hidden harbor and it is truthful to its nature. This architectural gem is the perfect combination for the Emerald Coast original landscape and is among the spots in the Med. 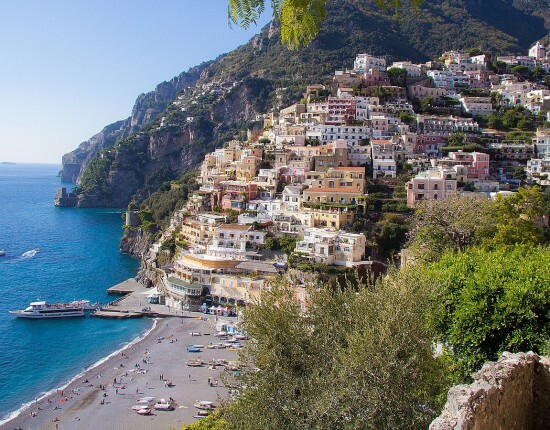 These are some of the best beaches in Italy. 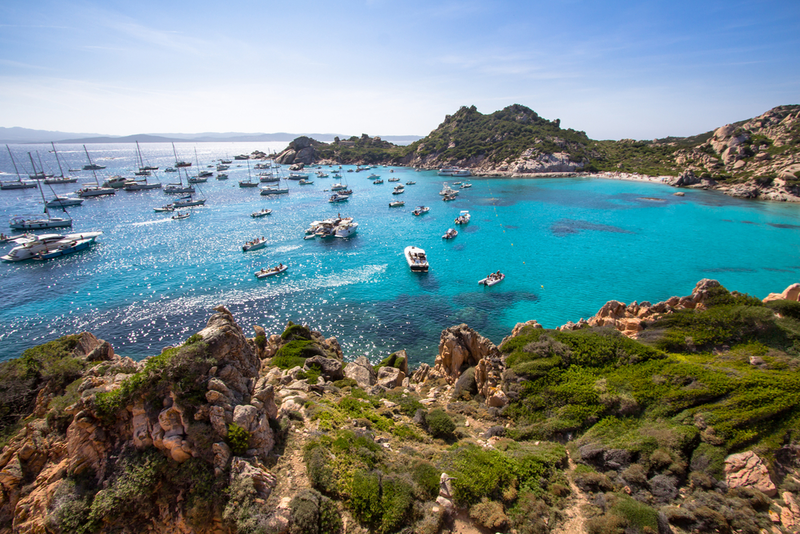 The islands in the archipelago of La Maddalena, are must-see spots in the Mediterranean Sea. 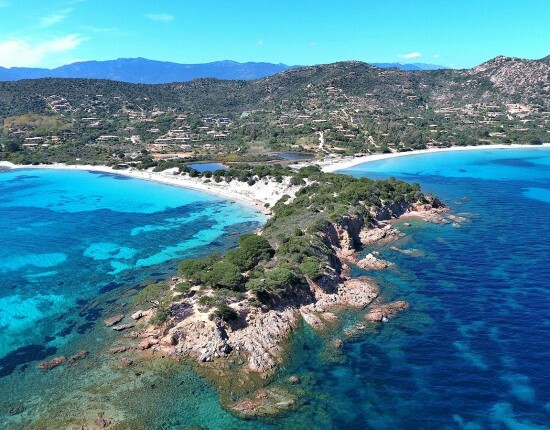 They can be found close to Costa Smeralda, and are the most heavenly turquoise lagoons without people or civilization footprints to spoil it all. Our recommended marina in the Mediterranean for this area is Cala Mangiavolpe. When sailing around the Mediterranean Sea you can find this little spot suspended in time. The local enchant is amazing for visitors and the Ligurian families that founded the village in the 18th Century still embellish landscapes and tiny streets. It is a pearl waiting for you to find it. Recommended marina: Carloforte Marina is the best for berth booking. Sicily is the largest island in the whole of the Mediterranean Sea. Sailing in the Mediterranean Sea and not hitting what used to be the largest city of the old world is crazy. Syracuse is an awesome destination to lower the anchor and enjoy one of the best views of timeless beauty you can experience in the Mediterranean Sea. Recommended marinas in Syracuse: Marina di Syracuse is perfect to book a berth. This is one of the best sailing destination(s) in the Mediterranean because it simply has it all. It has crystal clear water with the breath-taking sight of a volcano, cliffs, a Norman Castle and a lot of movement. Once you anchor you will have countless activities to choose from! Perhaps one of the most revered tourist destinations when people sail the Mediterranean Sea. Dropping anchor anywhere in the 50km coastal line means visiting beautiful beaches, pastel-colored boutique fishing villages, and terrace-top vineyards. Its coastal road links Salerno with Sorrento and all beautifulness in between. It is a definite must! Porto di Amalfi Coppola Marina is the best berth booking options in the area. 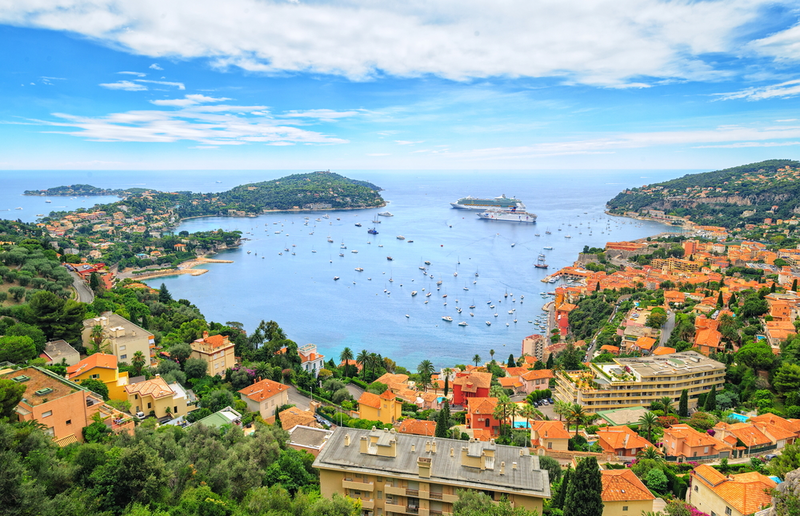 The French Riviera is definitely one of the best and most glamorous destinations in the Mediterranean Sea. This sailor´s paradise awaits for your anchor with breath-taking landscapes and much more. Corsica is the best crossover between Italy and France. Dropping your anchor in one of these marinas will give you access to picturesque coastal towns, deep forests and beautiful mountains. These destinations are among the best places to sail in the Mediterranean Sea. 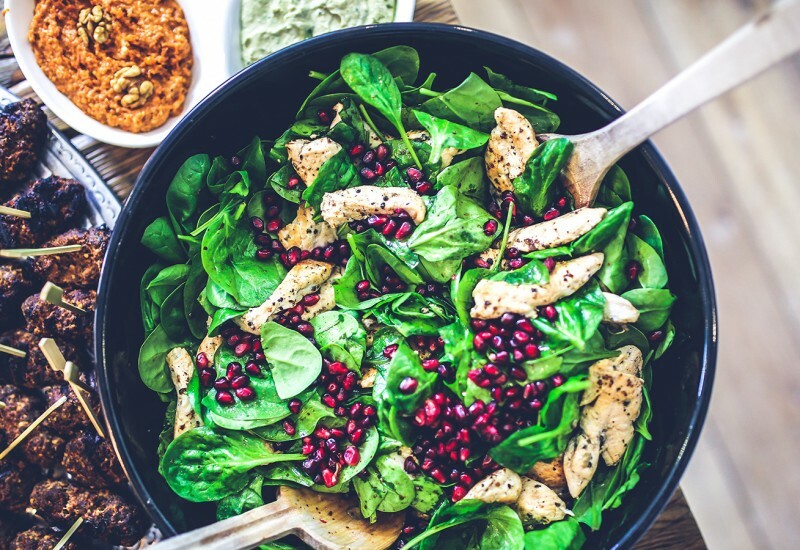 Staying in either of them will grant you access to luxury and a celebrity-like lifestyle. You will be surrounded by an amazing landscape while enjoying some of the best facilities in the world. 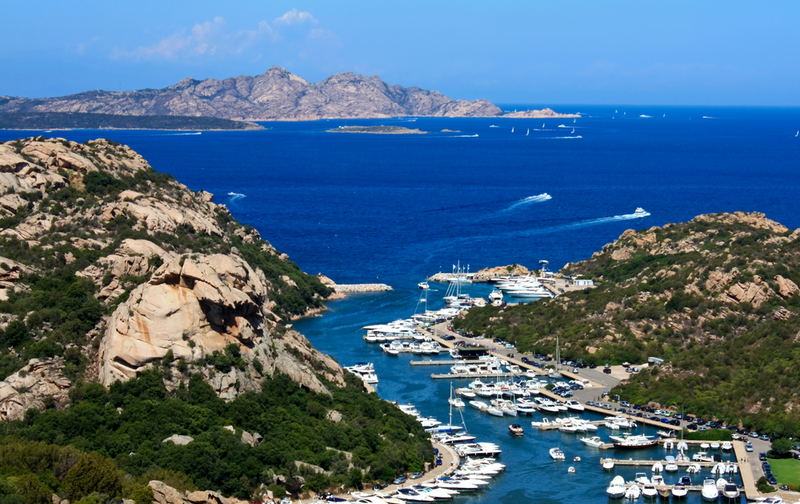 For a marina reservation in Corsica, we recommend Port Bonifacio, Port Saint Florent, Port Calvi, Porto Tino Rossi. Discover the best marinas in Corsica. Found among the best sailing destination(s) in the Mediterranean right in the heart of Europe, this luxurious destination is nothing short from its reputation. Drop your anchor between the Mediterranean Sea and the Southern Alps and you will enjoy this Jet Set destination at its best! Do you need a berth here? Discover the best marinas on the French Riviera. 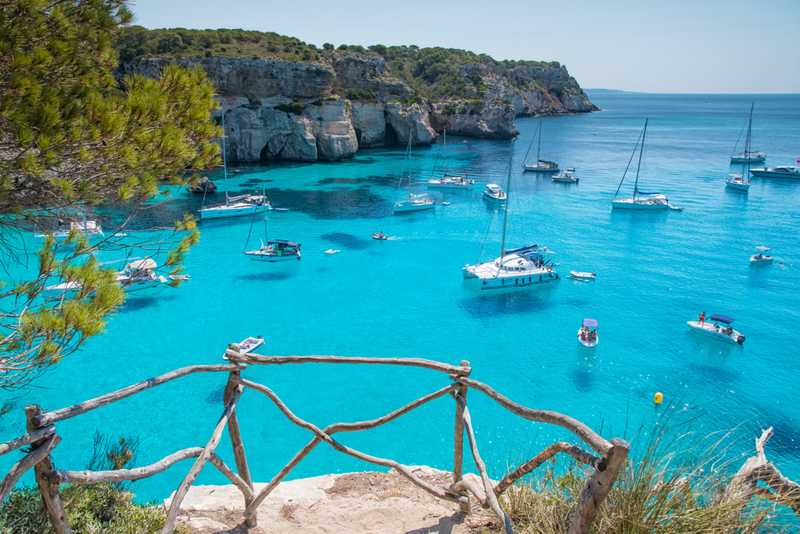 The Balearic Islands are a must-see for all who sail the Mediterranean Sea. They are home to the widest variety of landscapes and fun you might find in the area. Formentera is home to one of the most laid-back vibes in the area. 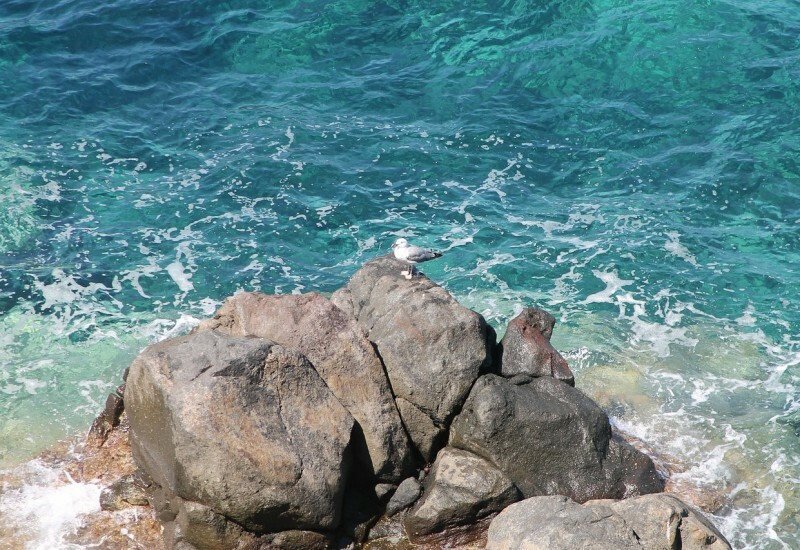 Its beaches blessed with turquoise, crystal clear water make the island pure bliss. 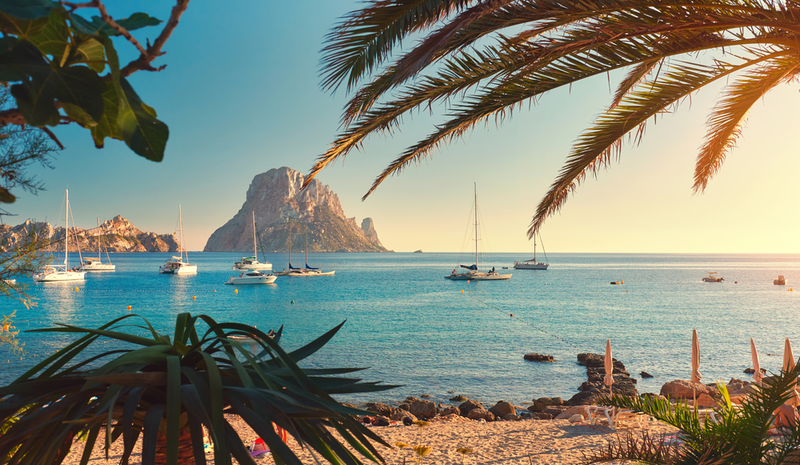 Also, when sailing in the Mediterranean Sea you can´t avoid the beautiful mix of Ibiza´s nightlife and breath-taking beaches. Discover and book a berth in one of the best marinas in Ibiza. 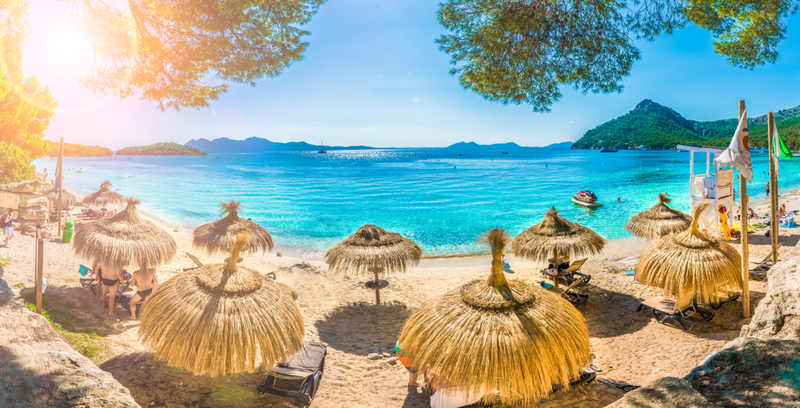 Mallorca is one of the best spots in the Med and that position is very well-earned. It is home of an amazing juxtaposition of some of the best beaches you´ll ever see, sheltered coves, Moorish and Roman remains and limestone mountains. You won´t regret dropping your anchor in this island. Read more about the best marinas in Mallorca. This island is a low-profile destination for those who look for a chill vibe. Make no mistake; it is one of the must-see spots in the Mediterranean, home to endless beaches and turquoise water. Drop your anchor in this earthly paradise and find the best quiet time on the planet. If you want to reserve a berth here, discover the best marinas in Menorca. 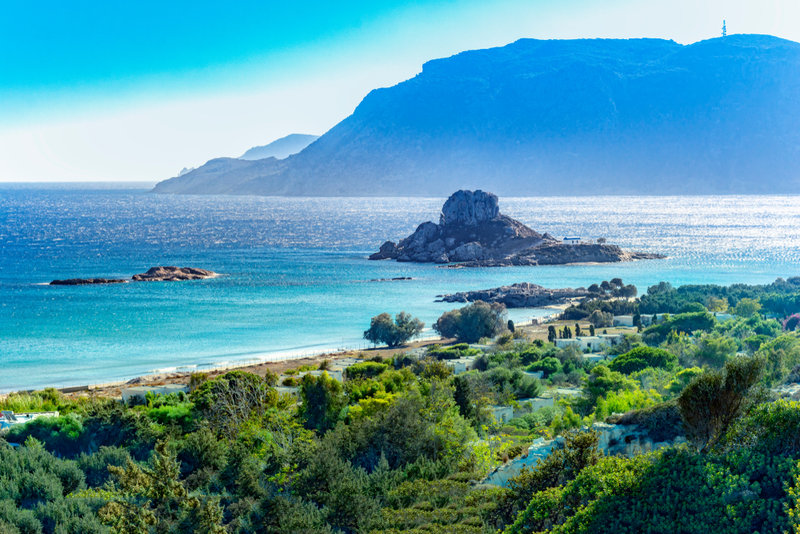 The 6,000 islands that make Greece´s sovereign territory are a piece of paradise on Earth. Sail the Mediterranean Sea and drop anchor in this beautiful turquoise waters to enjoy island life at its best. This is definitely one the best spots in the Med. The cool and deep water in the coast surrounded by lush vegetation and breathtaking mountains with the perfect weather is incredible. Dropping anchor, disembarking anywhere between Attica and Corinth when sailing around the Mediterranean Sea is satisfaction guaranteed. Attica has access to the busy and historical Athens while Corinth is one of the most picturesque ports in the world. It all dates back to 5,000 B.C. and matches the landscape perfectly. Trizonia is the only inhabited island in the whole of the Gulf of Corinth and is midway between the Peloponnese and mainland Greece. It represents the only chance of dropping anchor in a unique place in the world. Enjoy Poseidonia and Trizonia´s relaxed vibe and chilling atmosphere. Both cities are linked by a beautiful bridge. Dropping your anchor in either of the ports while sailing around the Mediterranean Sea is a great choice to enjoy a city lifestyle and beautiful beaches. They are filled with amazing landscapes and ancient buildings mixed perfectly with modern constructions. This Greek Island is one of the must-see spots in the Mediterranean. Alykanas, Agios Nikolaos, and Tsilivi are some of the most popular beaches offering swimming, water sports, and jaw-dropping sights. 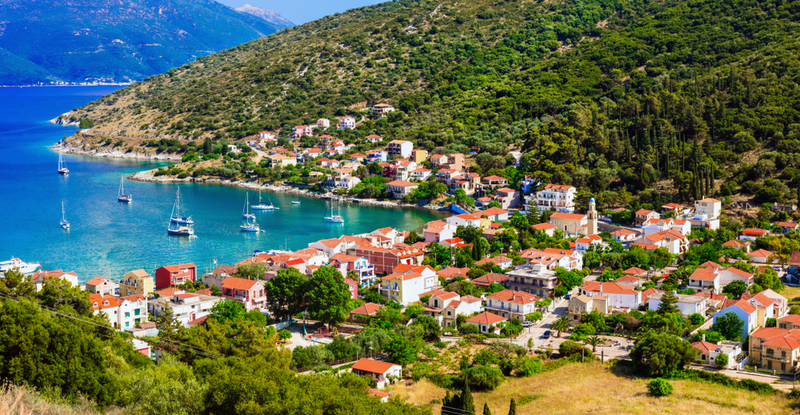 Drop your anchor on this Greek Island and enjoy one of the best landscapes in the world. 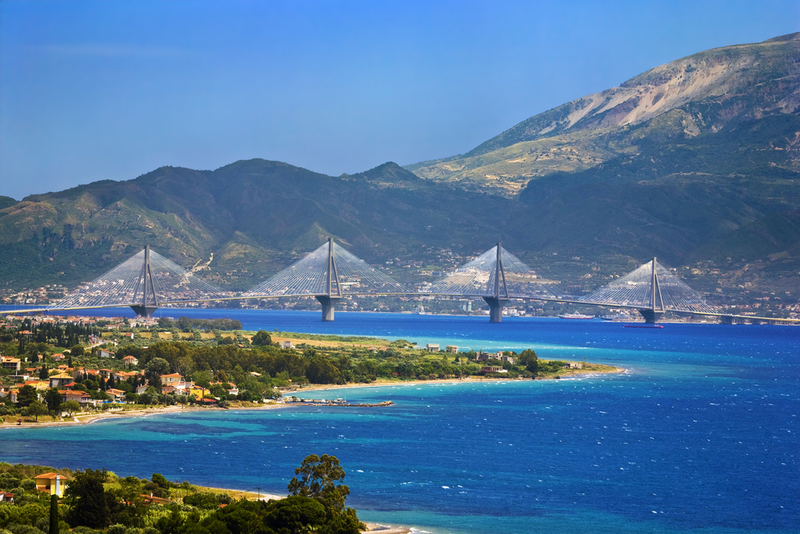 The most efficient berth booking facility in this coastal area is Port Zakynthos. This Greek island is one of the best spots in the Med, home to some of the best-looking limestone cliffs and white-sand beaches in the world. Most of them are only accessible on foot, which drastically reduces the use of cars and makes it more enjoyable to drop your anchor. For a marina reservation, the most accessible option is Fiskardo Marina. This is another Greek Island in the Ionic sea that is a must while sailing in the Mediterranean. Ithaca is one of the few that is still out of reach for the modernization of the world. It offers lush valleys bathed by crystal-clear water and beautiful mountains. Discover the best marinas in Ithaki. This Greek island is one of the best sailing destination(s) in the Mediterranean because of cliffs and turquoise waters. If you decide to disembark, you will fall in love with traditional villages like the ones in Nydri. If you like water sports, nothing better than practicing windsurfing at Vassiliki. Lefkas Marina is the place to book a berth here. Being the smallest group of islands in the Ionian Sea, it is one of the best places to sail in the Mediterranean. 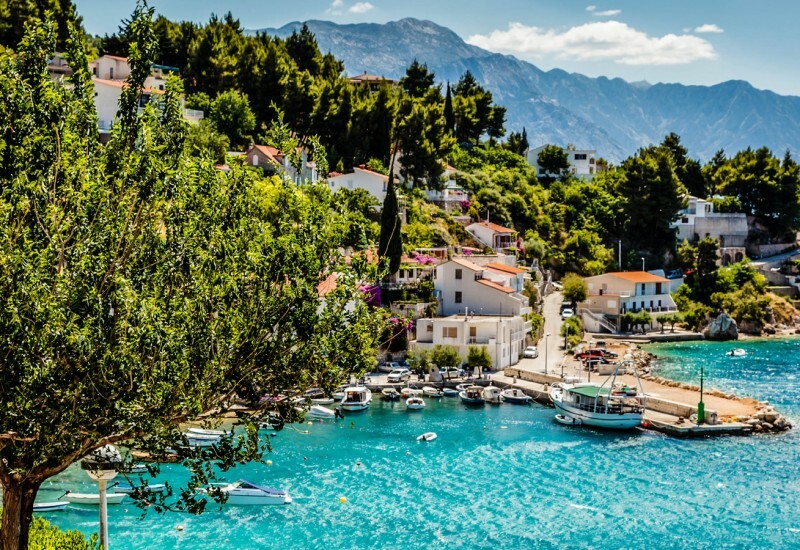 Paxos and Antipaxos are the largest islands in the group and the best place to try out the fantastic Greek wine and the best sand beaches in the region. 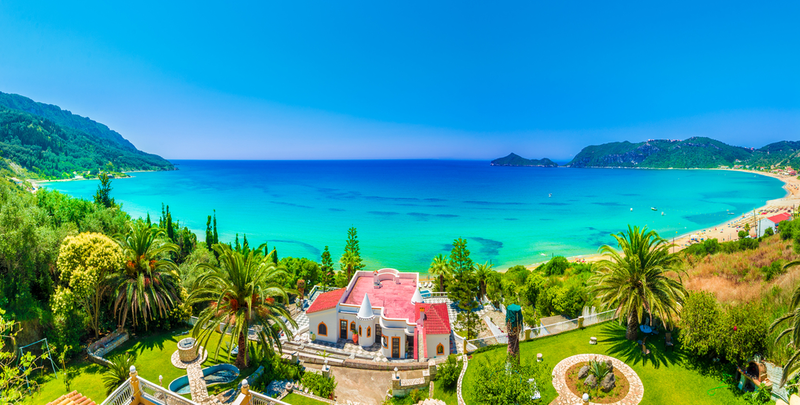 While you sail the Mediterranean Sea, you will find a lot of variety, but never as much as in Corfu. This place was a Venetian, French and British territory before being Greek. Dropping your anchor is meeting one of the most diverse and beautiful places in Greece. A great marina reservation option on this island is Gouvia Marina. Although most Aegean Islands belong to Greece, some belong to Turkey. 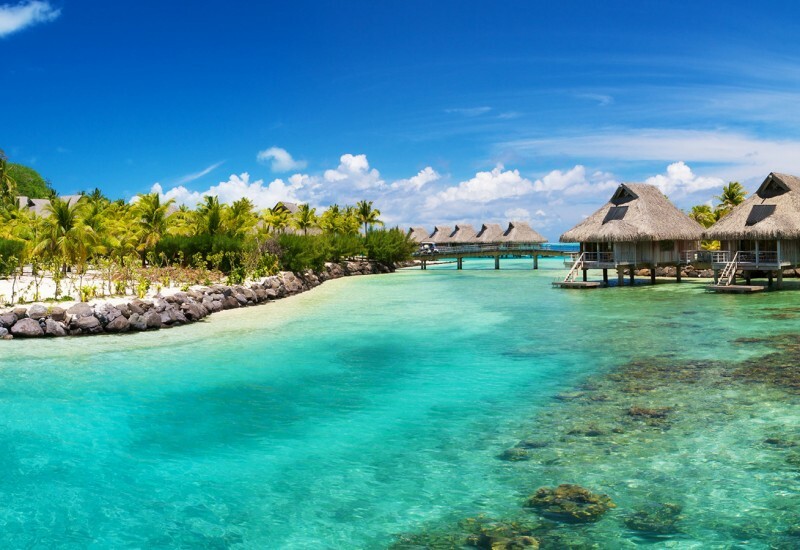 They are amazingly picturesque, with deep blue and turquoise waters around typical buildings. These islands are very famous for the extension of their beaches and cultural heritage. They are a must while you sail the Mediterranean Sea. Chania is the perfect place for sailors and sailing-ships lovers in the world. The amazing color of the water, the 16th-century lighthouse, and the Nautical Museum are jaw-dropping. The beautiful Fortezza of Rethymno is the perfect addition to the beautiful landscape while sailing in the Mediterranean. This is Crete Island´s capital city and one of the most important historic places of the region. The deep blue waters and the amazing architecture that can be seen while sailing around the Mediterranean will catch your eyes immediately. Drop anchor and enjoy history at its best! If you want to book a berth in Crete, we recommend you Marina Agios Nikolaos. This group of Greek islands can be found at the southeast extreme of the Aegean Sea. They are home to some of the most attractive historical buildings but also amazing beach resorts as well as panoramic coastal views all over the islands. 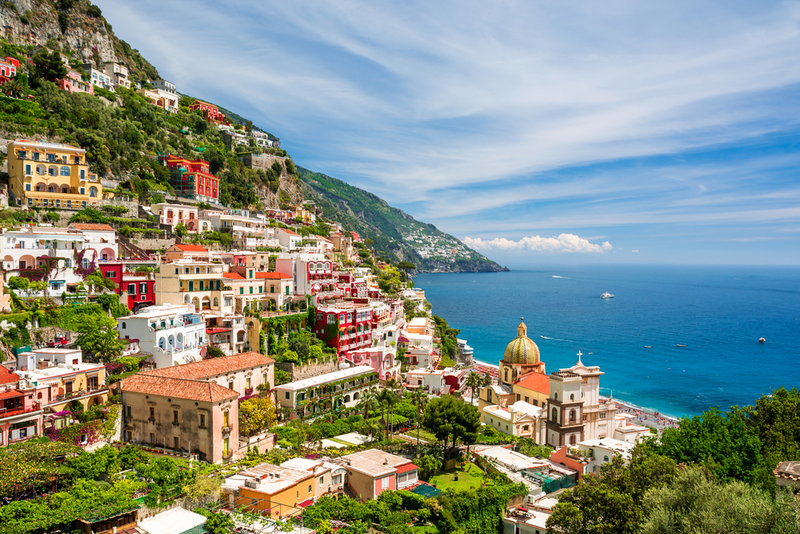 They are must-see spots in the Mediterranean. 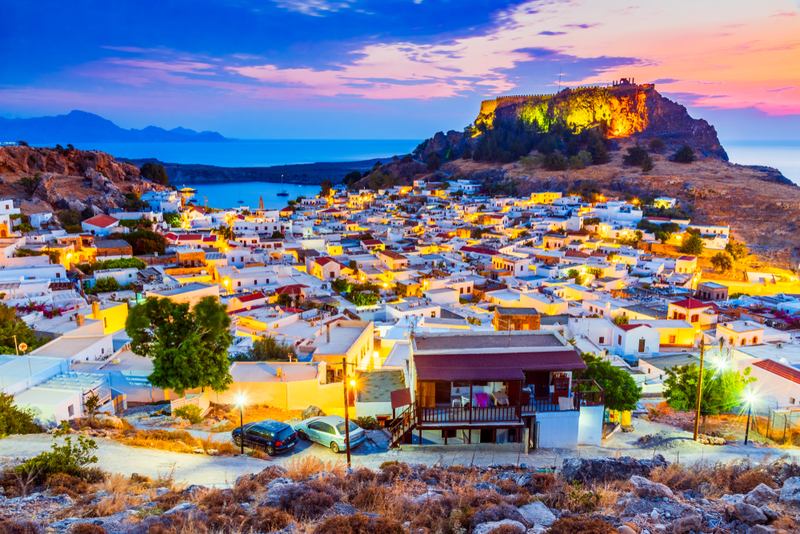 This island is the largest of the Dodecanese islands and it is a perfect mix of beach resorts with amazing views and history. It was a part of the crusades and holds a medieval street as well as a small castle. Dropping your anchor is to visit one of the best spots in the Med. Rhodes Marina is the best choice if you want to make a berth reservation in Rhodes. The fabulous beaches and the natural beauty of this Greek island are breathtaking. The land is mostly flat and it is very common for tourists to go around it by bike. Like all of Greece, it is a place that offers tradition and history along with natural charm. For a marina reservation here, we recommend you to make a booking request in Kos Marina. This is not such a popular island and is known because of its dense forests and dark colors. It is almost completely inhabited by Croatians and features medieval, picturesque architecture. If you sail the Mediterranean Sea, you should drop your anchor and enjoy a unique place with no crowds of tourists. When you need to book a berth, make an instant booking on ACI Marina Korcula. Made of many islands, only three of them are inhabited. Just like Korcula, if you sail the Mediterranean Sea, it is more accessible than from land. The area is only 300 square kilometers and is bathed by deep blue Mediterranean waters which are not flooded by tourists. This is the capital city of Malta. It is a city made by gentlemen for gentlemen. The Knights of St. John made this a beautiful place to visit and left behind amazing constructions. The beaches and, especially the harbor are unique and one of the best spots in the Med. While sailing around Mediterranean waters, you can find some treasures; Comino and Gozo are two of them. These sister islands offer everything from the Blue Lagoon and its turquoise waters to snorkeling, scuba diving or just swimming. Dropping anchors in either of them is definitely worth it. This is a Balkan country that is made of medieval villages and amazing Adriatic-coastline beaches. While you sail the Mediterranean Sea, you can make a change, drop your anchor and visit bears, wolves, glacial lakes, limestone peaks and the breath-taking Tara River Canyon which is 1km+ deep. Thinking of Kotor Bay in Montenegro, you can come up with any superlative that comes to your head, they are all short. It is a majestic place on Earth. If you are sailing in the Mediterranean, you cannot miss it under any circumstance because of its uniqueness and beauty. For a marina reservation, the most accessible option is Port of Kotor. There are few things in the world like sailing in the Mediterranean and diving in a different idyllic bay daily. The offered tours into wooden motor-driven yachts are a once-in-a-lifetime experience that you should not miss. Once the anchor is dropped, you can just go sunbathing and experience Turkish culture. 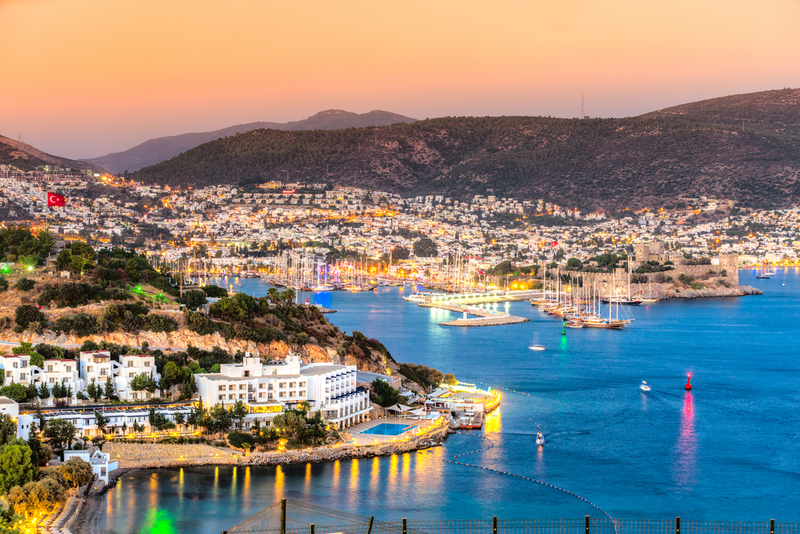 Milta Bodrum Marina is a good choice to book a berth here. 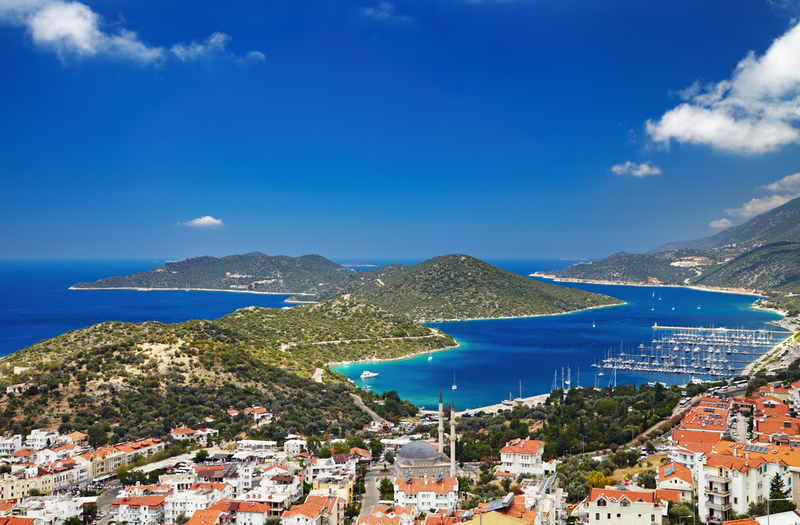 Unlike many routes in the Mediterranean coastline, the route from Kas to Antalya is among the less altered one. The perfect scenery, the rich historical heritage, amazing sea life, and unaltered landscapes will steal your heart. This lesser-known route is among the best places to sail in the Mediterranean. 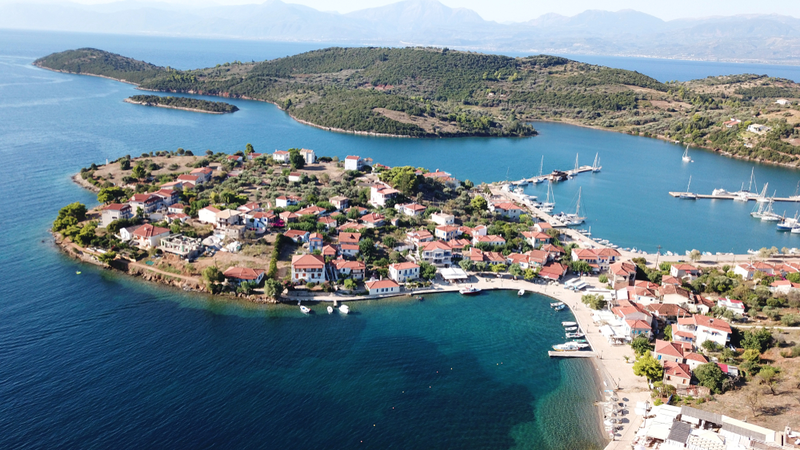 Kas Marina is the most accessible for a marina reservation in this area.